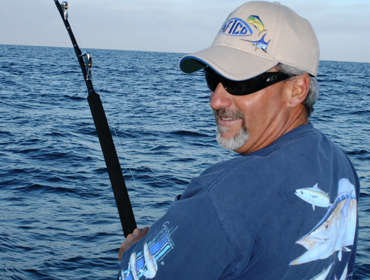 Greg was born and raised in Hermosa Beach, CA and has over 45 years of experience fishing the waters of Southern California, Mexico, Hawaii and throughout the Atlantic. For the past 29 years he has worked as sales manager for AFTCO Manufacturing in Santa Ana, CA and also headed up their Tag Flag recognition program. Greg is a past president of the Balboa Angling Club of Newport Beach and a member of the Avalon Tuna Club and Los Pescadores. Greg has won many tournaments and light tackle angling awards. He is a lifetime member and served on the board of United Anglers of Southern California where he was instrumental in preventing a directed offshore longline fishery from being established off Southern California. Greg’s articles and contributions have appeared in many national and local publications, and he is a noted authority on inshore and offshore saltwater fishing. Greg’s areas of special expertise would include light tackle big game fishing, rod building and tackle design, manufacture and marketing, along with boat rigging and outfitting for inshore and offshore fishing. He frequently lectures and gives seminars on a variety of fishing topics and is a regular guest on radio and TV productions. Greg spends most of his free time on the water chasing offshore game fish from Southern California to Mexico and beyond.